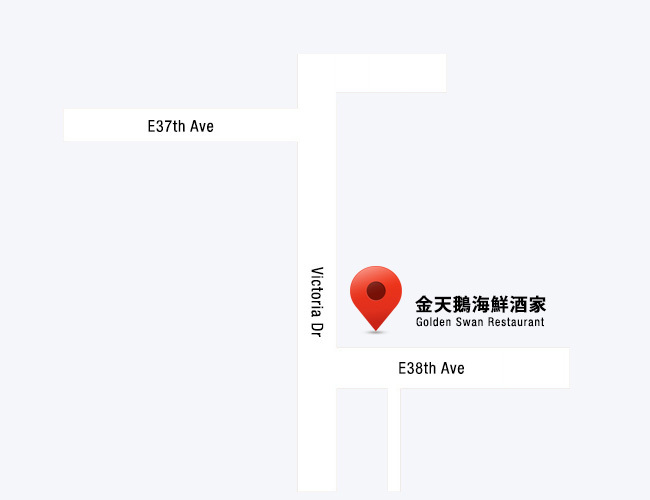 Golden Swan Restaurant began its business as a family restaurant in 1998. Over the years, the restaurant had several major renovations and expansions, and had become a very popular restaurant in the community since then. The restaurant’s popularity is not only due to its superb quality, but its warm hospitality, elegant atmosphere, and excellent value also added to its reputation. The restaurant is specialized in a wide range menu of authentic and exotic Chinese cuisine. The award winning dim sums are prepared freshly everyday. Our signature dishes for dinner include Alaska King Crab, live lobsters, Peking Duck, free range chicken, etc. They are all being exquisitely prepared by our renowned executive chefs. With a seating capacity of over 300 seats, the restaurant offers an elegant banquet hall and several VIP rooms which accommodates parties of various sizes for all occasions. Should you plan any wedding, birthday, retirement and fund raising parties in the future, please be sure to give us a call and we will arrange a memorable evening for you.